Merry Christmas, happy holidays, and season’s greetings to all! 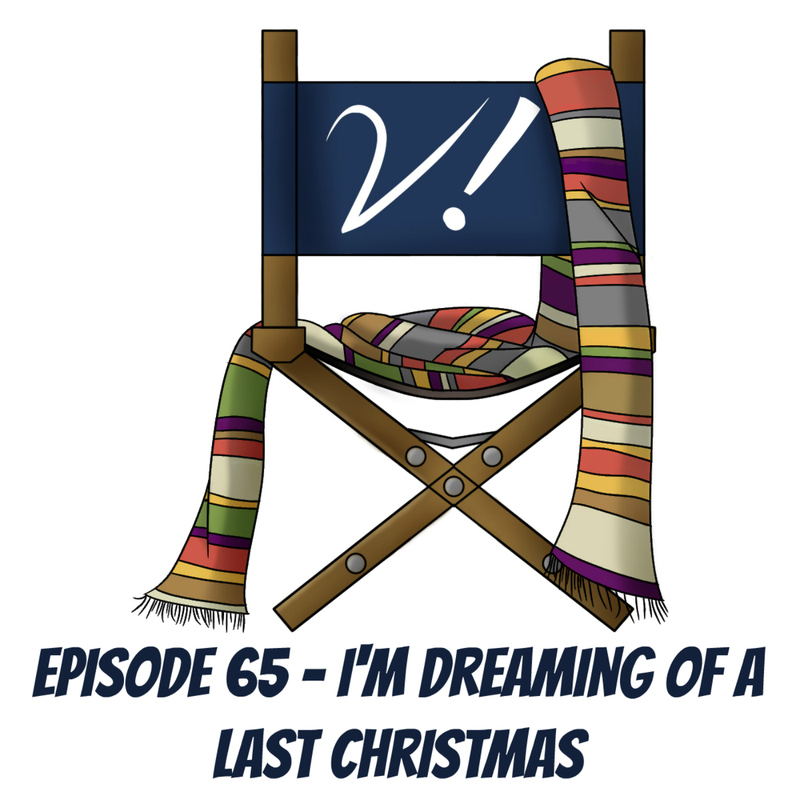 Join Deb, Erika, Katrina, and Lynne as we discuss the latest Doctor Who Christmas special–yet another regeneration episode. Who cried? Who didn’t? Who’s not ready to think about the 13th Doctor? Who wants to crash right into the new era? And what did we all think about the themes and execution of “Twice upon a Time”? There’s only one way t find out! What did you think of this final send-off for so many of the on- and off-screen talent? Let us know in the comments! The holiday season is upon us! Join Deb, Lynne, and Tansy as they chat about holiday traditions and how they intersect with fandom–Doctor Who and otherwise. What are your geeky traditions/plans? Do you have gift suggestions? Let us know in the comments! Our last first of the year is the first episode of 2016 (finally! ), “The Return of Doctor Mysterio”. Join Deb, Erika, Katrina, Liz, and Lynne for an almost-full set of Verities discussing this comic book pastiche and whether it succeeded wildly or failed mildly. Did you love this Christmas special? Did you think it was just okay? Did you see it in the theatre? Let us know all these things (and anything else you have on your mind about this year of firsts) in the comments! Lynne listened to the Tennant-Tate Big Finish adventure, Technophobia! Kat starred in a recent Doctor Who’s Line, Is It? … Anyway? episode! Liz enjoyed Matt Smith in Pride and Prejudice and Zombies! showed “Black Orchid” to appreciative classic Who n00bs! finally framed a couple Tom Baker pictures! Deb can’t believe Verity! is featured in an article in the Doctor Who Magazine Yearbook! Graham Kibble White’s additional blog post on Verity! Happy holidays one and all! This week it’s an oversized celebration, as we have all six Verities onboard for this ep! 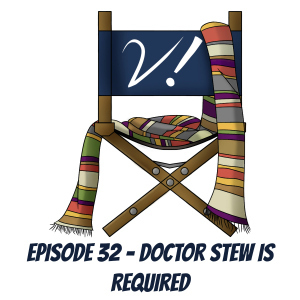 Join Deb, Erika, Katrina, Liz, Lynne, and Tansy as we celebrate the season by talking about the last new Doctor Who episode we’ll have for a while. It’s mostly Christmas cheer all up in here, so if you’re looking for a good rant, you’re (mostly) in the wrong place. We talk Capaldi, Clara, Danny, Santa, and more! What did you think of this year’s Christmas outing? Was it Santastic? Or ho-ho-horrible? Let us know in the comments! It’s been a great year here at Verity! Thanks to everyone for listening, supporting, and taking part in the conversation! Kat got some sweet Doctor Who Christmas gifts including a TARDIS blanket, a TARDIS mug, and a plush Dalek! Lynne also got sweet DW stuff–most importantly, TARDIS pajama pants! Tansy’s family, too, got DW swag, including Dalek hats and Dalek Risk! Liz got tickets to the Doctor Who Symphonic Spectacular in May! Erika got to reminisce about Calgary Expo 2013 because Steven’s interviews w/Sylvester McCoy and the Torchwood cast are now online! Deb got herself the current, awesome, (Big Finish) Humble Doctor Who Audiobook Bundle (dozens of titles, pay what you want, and help a good charity)! Verity! 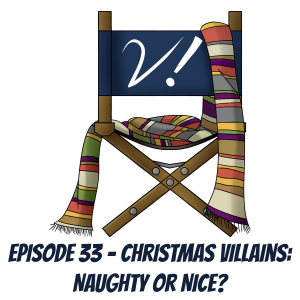 Episode 33 – Christmas Villains: Naughty or Nice? Kat is excited Mark Sheppard will be a guest at Gallifrey One! And finally reads issue 11 of Doctor Who Classics Series 2 (DWM comics 79-81)! It’s official. 2013 is over, and so is the tenure of Matt Smith as the Doctor. Once again, join ALL the Verities: Deb, Erika, Katrina, Liz, Lynne, and Tansy, as we discuss Matt’s final episode. It should come as no surprise that we disagree on whether this was a good and worthy sendoff for such a fine Doctor. Who loved it? Who didn’t? And why? Listen and see! This week we have our first pre-release erratum! Tansy’s daughter Raeli wanted her to tell everyone that she got The Abominable Snowmen Target novelisation, & the one Tansy is reading to Jemima is The Ice Warriors. 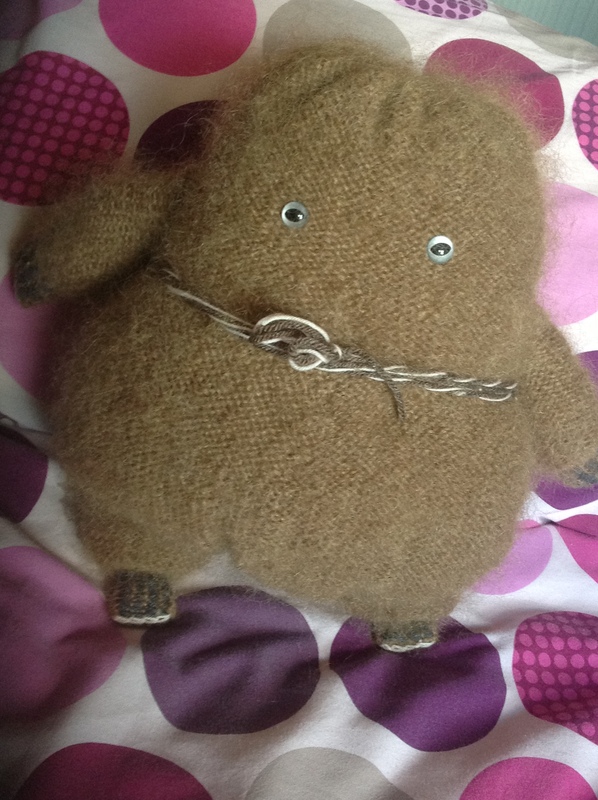 This will make sense to you after you’ve listened to what’s caught Tansy’s attention in Doctor Who this week. Tansy had a Doctor Who-tastic Christmas! Lynne enjoyed the Doctor Who: 50th Anniversary Collection, Original Television Soundtrack! Erika listened to the first season of Big Finish’s Eighth Doctor/Lucie Miller series! Kat LOLed at the image of the Doctor & Amy in wigs! Liz jumped on Lynne’s bandwagon and bought the 50th Anniversary Collection soundtrack while we were recording! And discovered Matt Smith’s run is absolutely perfect, thanks to the marathon on Watch! Deb squeed over the new Christmas episode of Doctor Puppet! We’re all mighty chuffed Paul Cornell gave us a shout-out in The Girl Who Loved Doctor Who!